Item Number: 30-9-07GL 16895 Actual Weight: 0.1 lb. Sheer fabric has satin drawstring for easy closure. 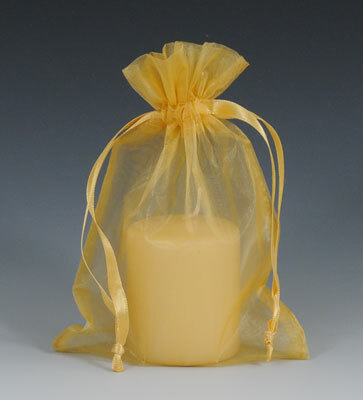 Decorative bags are versatile for gifts or to package jewelry, soaps, or candles. Call for details about custom sizes and colors.